Airport Auto Rebuilders was established in 1993 by entrepreneur Mark Zoller. Mark opened the doors with quality #1 in mind. Airport Auto Rebuilders is a family owned and operated business. Mark's son Eric Zoller is the manager. We base our business on referrals from pleased customers by exceeding their expectations for auto body repair. Make sure to take a look at our testimonials from satisfied customers. Our auto body technicians are I-CAR trained and certified and BASF automotive refinishing trained and certified. These dedicated professionals put pride into their work and care for the customer’s vehicle as if they were their own. BASF automotive refinishing mixing system is used for painted work. We use computerized color matching. 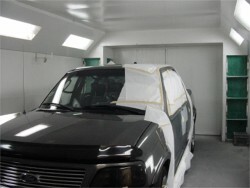 A Binks spray booth is used to achieve a beautiful refinish to your vehicle. A Chief EZliner Frame Machine is used to align the frame and unibody of your vehicle to factory specifications. 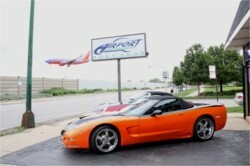 Airport Auto Rebuilders is conveniently located near Midway Airport. © 2014, Airport Auto Rebuilders. All rights reserved.